Nobody, it seems, wanted to bend it like Beckham. Or bend it with him, or at him, or any other type of bending. Viggo is still the reigning king! But, this week’s challenger is also he of the chiseled cheekbones and gravitas. 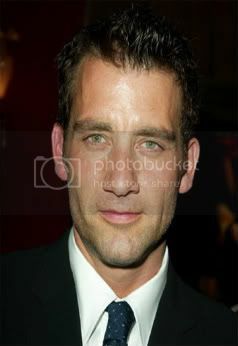 Oh, and those gorgeous hazel eyes don’t hurt either. This entry was posted on Friday, May 30th, 2008 at 6:52 am by Glinda and is filed under Celebrity Dad Faceoff, Celebrity Dads, Contests, Oh DAD!. You can follow any responses to this entry through the RSS 2.0 feed. Both comments and pings are currently closed. Oh, seriously! And I speak as a hardened Viggofan: you’re totally distorting the competition. Are you secretly Exene? I remember you told me she put on the best live rock show you’d ever seen…I’m just wondering. Because somehow all his competition ends up twisted. I mean, he’d have my vote anyway. 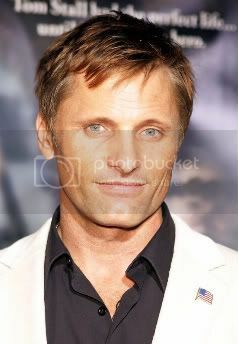 Viggo=hotness, at least according to the 20 or so videos in my collection. OK, Becks did look a little weird last week for some reason, but I swear I’m not trying to distort anyone! No contest. Viggo is luuuuurrrvvvve! But I assume you are working your way up to the ultimate winner, Daniel Craig? I was trying to make a decision, but then mah hed asploded from all teh hotness. I’d happily take either. kthxbai.